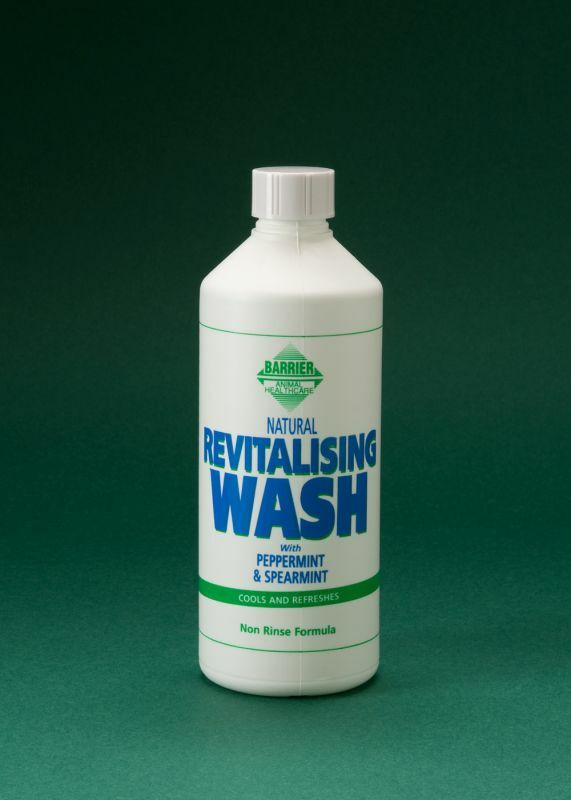 Revitalising Wash with Spearmint & Peppermint is a light soothing natural wash, which provides a refreshing and cooling massage for your horse/pony without chilling the animal. Uses: Revitalising Wash is ideal for washing down after exercise or heavy competition. The low lathering formula removes heavy sweat with ease and requires no rinsing. This non-rinse formula cools without making the animal cold. Contents: Essential Oils, Herbal Concentrates & Coconut Cleansers.